This page is a collection of the posts on the rhetoric of the 2016 election. I hope these are useful resources for people and organizations struggling to build pro-democary parties and opposition movements in the electoral arena. In particular I focus on a set of interlocking arguments intended to shape our political views and manage our expectations. The main social control discourses — widely disseminated by the corporate media — and too often internalized by liberals and progressives are: The Spoiler, Lesser of Two Evils, and Electability. All are counter-factual. All rely on fear and fatalism, rather than history, facts and reason to shape opinion and control behavior. For more on electoral strategy see Toward A Transformative Electoral Strategy But let’s start with a few words from the greatest revolutionary strategist of the 20th Century. How Would Martin Luther King Vote? MLK Where do we Go from Here 607, The essential Writings and Speeches of Martin Luther King, ed. James M. Washington. See also Black Power Defined, 309. We grow from the grassroots! Let’s help each other send Jill Stein to the White House. It’s in our hands! The following is a one minute script for face-to face organizing. I am a local activist and this is not an official part of Jill’s campaign literature. Take what you like or pass it by. It is very introductory but well suited to outreach at concerts, farmers markets, and downtown street corners. Remember 40% of Americans do not vote and many people have never heard of, or thought seriously about, Jill Stein or the Green Party. Particularly the 70% of Americans that still get their news from the corporate media. Get out there and go for it. It’s in our hands! This rap is meant to go with a flyer that has the issues listed. I suggest the 1/4 page handouts on at Jill2016 They are easy to download, print and cut. Hi, I’m supporting Jill Stein for President. 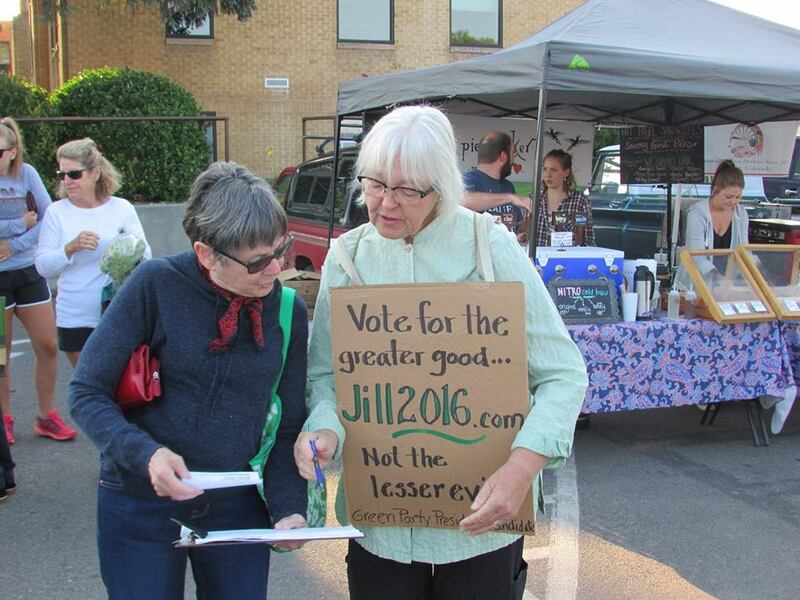 Jill is the candidate for the Green Party. She is not a Democrat or a Republican. I support Jill because I think the two parties have failed us, and don’t like either candidate. What do you think? Jill Stein is a great alternative. Or, if you are the kind of person that votes for the quality of the candidate rather than the party, Jill Stein is far and away the best presidential candidate we have. And that is because Jill is totally independent and takes no corporate money. It’s all small donors like us. For me, the trends on climate change, war, and economic inequality, are so troubling that four more years of “more of the same” will lead us to disaster. We need to change course now. (And/Or) I was a big Bernie supporter. After the Democrats pushed him aside I decided that Jill Stein was the best way to continue the effort to get money out of politics and the people back in. Jill’s politics are a lot like Bernie’s but even more so. The Green Party sides with everyday Americans not the corporations and billionaires. Our democracy is in such deep trouble that we really need more voices and more choices. It’s up to us now. Would you like to sign up for our email list for more information? Local Facebook group? Come to our meeting? People have been so heavily propagandized by the corporate media that the negative comments or questions are fairly predictable. Here are some standard Q&A. Q. “Electability” If they say: But third parties can never win. or Can Jill win? It’s hard for sure, but now 40% do not vote and for the first time 43% of registered voters are independent. That shows that its time for change. People have already had enough of the Democrats and Republicans. Clinton and Trump are the two worst candidates ever. And, we don’t have to win the election to make a real difference. If we get just 5% nationally the Green Party will get federal funding and we can continue the debate. A vote for Jill is a vote for the long-term project of building a real opposition party. I know this was repeated by the media a million times but it does not stand up to the actual history. You may have never heard the fact that 12-13% of registered Democrats in Florida voted for Bush. That is 300,000 votes for Bush by Democrats in Florida alone but the media did not mention it. Nader got 97,000 or so in Florida about 24, 000 of which were Democrats and that was supposed to be the reason Gore lost? Not the 300,000 Democrats that voted for Bush? 53% of white women voted for Bush in Florida. Why? Those votes were Gore’s to lose. And 40% of the people stay home. Why didn’t the Democrats get them? Gore lost his home state of Tennessee where Nader was not a factor and the Clintons’ home state of Arkansas where Nader was not a factor. The real spoiler is that the two parties don’t represent us anymore and run weak campaigns because they have nothing to offer. Gore failed to excite his base just like Clinton is failing now. So they resort to fear instead. Q. “Lesser of Two Evils” if they say: I am afraid of Trump. A. Trump is scary, but on all the really big issues of importance to me, the differences between Clinton and Trump are so small it’s hardly meaningful. 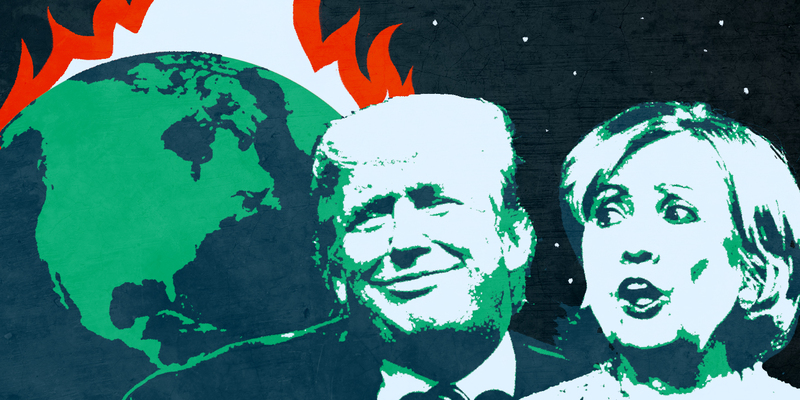 Trump denies climate change, Clinton supported fracking around the world as Secretary of State and is in the pay of the fossil fuel industry. Trump talks war, Clinton makes war and has destabilized Libya, Yemen and Syria leading to more terrorism and more refugees. Trump cheats his workers and opposed unions, Clinton has held down wages when she supported NAFTA, TPP and ended welfare. While Trump talks racism, the Clintons were architects of mass incarceration, the biggest form of institutionalized racism today. It’s like a choice between arrogance and blatant racism and the abuse of power and institutionalized racism. As a county we have been voting for the lesser of two evils for decades and these two candidates is exactly what that way of voting produced. By telling Clinton that she does not have to earn your vote, the Democrats are free to turn into Republicans and serve Wall Street instead of the American people. It is far easier to criticize the social order than to change it. 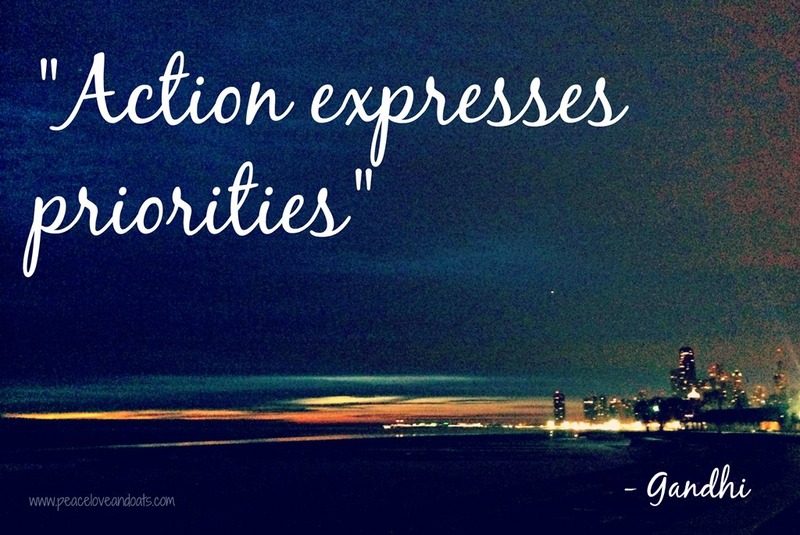 And our actions express our true priorities. The Halle/Chomsky article advocating lesser of two evils voting demonstrate the poverty of radical strategy that does not seek alternatives to the two-party system and the existing order. The authors do get two big things right: tactics are provisional and there are serious consequences to political choices. But they act as if only those that refuse to vote for Clinton face the consequences of their action. Every political act leads to consequences intended or not. No one is free of that. There have been plenty of negative consequences from four decades of lesser of two evil voting that the authors fail to reckon with. Tactics should be provisional but it is the lesser of two evils has been the in-grained routine tactic for decades. At the core of the argument the authors damn dissenting voters as selfish moralists seeking only to feel good. Yet, the authors are every bit as involved with selling a morally correct argument that encourages people to feel good about voting for Clinton because it will, they seem sure, results in less oppression of already exploited people. But a truly political and strategic choice is not between voting for the lesser evil and feeling good. The choice is between continuing four decades of failed lesser of two evils voting or attempting to create a strategy and a movement to return the US government to the people. It is vitally important that we protect historic gains made by the social movements, but that does not require us to sign on to the established order of endless war, mass incarceration and corporate power by voting for Clinton. Quite the opposite — it requires movement building and opposition. The failure of the lesser of two evils is a strategic failure. One of the political problem with the lesser of two evils line is that it blunts criticism of the two-party system, a system the authors certainly claim to oppose. Not a word is said about the failings of the Democratic party machine. By insisting on a deeply flawed political boss instead of a reformer that would handily beat Trump, by all the evidence at hand, they are counting on compelling people to vote for candidates they despise. Sanders and a vigorous movement is the solution to Trump that we already have at the ready. The writers never mention that. Why? Only the opposition is criticized. One basic fact undermines all the lesser of two evil arguments. There is no scarcity of voters. Why does the vote of a small percentage of activists and dissidents matter so much when 70-90 million people do not vote in America? Why doesn’t Clinton go get them? Why doesn’t Clintons supporters or Halle and Chomsky go and get them? Bernie did and many others helped. Despite the highly rational style of writing the authors use, Halle/Chomsky’s core arguments drag the discourse onto the ground of moral politics and psychology instead of the terrain of politics we so desperately need to understand better: evidence, history, strategy, conflicts of interest, community of interest, and questions of power. A more useful political version of the lesser of two evils argument would raise issues of representative democracy, not just feelings. Should people vote for candidates and parties that represent their interests and values? If not, then we are forgoing the basic assumption about how representative democracy is supposed to work in favor of some clever tactic that will, in some unspecified way, allow us to reclaim democracy in some unspecified future despite all evidence to the contrary. The one attempt at a historical analogy offers a dubious and hotly contested interpretation of the Sixties. in 1968 the liberal democrat Hubert Humphrey gave no indication he was going to do anything but continue the war in Vietnam. Keep in mind it was a Democrat’s war for years under Kennedy and Johnson. Nixon actually ran to Humphrey’s “left” as a kind of peace candidate seeking an “honorable peace,” or what was refined into “peace with honor.” And it is likely that Trump will run to Clintons “left” on a number of issues. Writers like Halle and Chomsky attribute the decline of the left to anti-war opposition to the Democratic war managers. The radical movements the authors wrongly see as dying after 1968 never disappeared but were slowed and challenged for many reasons: the giant triplets of racism, militarism and economic exploitation could not be overcome, to say nothing of government repression and the so-called war on drugs. Of course, if the authors recognized the powerful institutional obstacles to change then they would also have to reckon with the Clinton machine’s role in continuing and expanding the many forms of power and social control. Lesser of two evils is an admission that we can never expect fundamental change and must stay forever on the road we are on. Except that road is increasingly unsustainable and crisis ridden. We cannot avoid serious consequences in any event. Despite the authors moralizing, there is no moral clarity here. It’s just judgement. Some people think that voting for the Green Party will create more suffering. I think that given the history of the last half century that voting for the lesser of two evils has created plenty of suffering we can document in abundance. I blame you, you blame me and the machines are off the hook. Morally, we are all implicated in the existing order. Every one of us. Moral politics of this sort are a political dead-end. Yet, its true that we cannot completely dispense with moral politics and feelings. So let’s give feelings their due. Its is not “feeling good” but feelings of fear and fatalism that are the psychological and emotional states that contribute most to social control. Halle and Chomsky rely on fear and fatalism and the promise of feeling good to corral people back into line. The inside/outside strategy is a possible starting point. Some of the most productive organizing of this electoral cycle exerted leverage along the inside/outside borderline. Revolt Against Plutocracy and its Bernie or Bust strategy has urged people to vote Green Party as a counterweight to the Clinton machine. Thousands have already made that move and the Green Party is growing rapidly. “Bernie or Green in 2016” has already changed the face of this election. Well, the party is over and the machine has prevailed. Our attempt to revive democracy in the electoral arena failed. Still, we owe Bernie so much. He has raised consciousness and expectations while others appealed to fear and told us there is no alternative to the corporate power. But, the struggle continues both within and outside the electoral arena. The corporate elites and the Clinton machine have no idea how deep the divisions go. Trump not Clinton will most likely be the beneficiary of the election fraud, voter suppression and discontent. The DNC has made a historic blunder and its not going to be pretty either way. Fighting Fascism with the corporate power seems a doomed project since it is precisely the merger of the corporation and government that sets the conditions for the rise of fascism. That is the historical moment we are in and paradox we face. There is already lots of suffering and there is going to be more; much more. We are just going to have to own up to what this country has become. The system is so rotten and dysfunctional that there is no easy way out. No amount of moralizing is going to change anything — that will take political action and organizing. I plan on working for Jill Stein and I will count it a victory if we can get 5%. That will allow the Green party to get federal funding for next time and maybe help to create a viable opposition party. But this is no 20th century election. The trend lines on war, class warfare, propaganda, the failure of democracy and the vast militarized penal system all point toward deep trouble. On environmental issues alone the crisis will deepen and most likely in a dramatic way. We are woefully unprepared for what lies ahead. But at least millions more have learned that the political system and the economy is rigged. That the lesser of two evils argument or the spoiler are forms of social control that have led us to exactly the choices we now have. If we do not have serious social change it is likely the Trumps of the world will just keep coming right out of the social conditions the Clintons of the world have created. I hear a lot from Clinton supporters, reluctant or not, about how they will continuing the struggle. I hope they are serious. How hard you worked for Bernie or other social movements this past year might be one indication of the value of your claims. 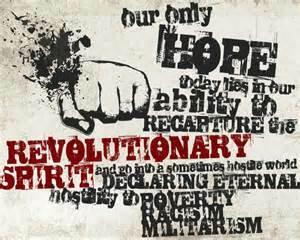 No one said revolution was easy, if fact its the hardest thing in the world. I hope mother earth has the patience for us to learn. People will say I am privileged or childlike or a dreamer for dissenting. In some ways I am all three. And you? I listen to peoples claims of moral superiority, or paternalist authority, or realism as they endorse and obey the political machine of the rich and powerful. We will all have to live with the consequences of our actions. All of us. 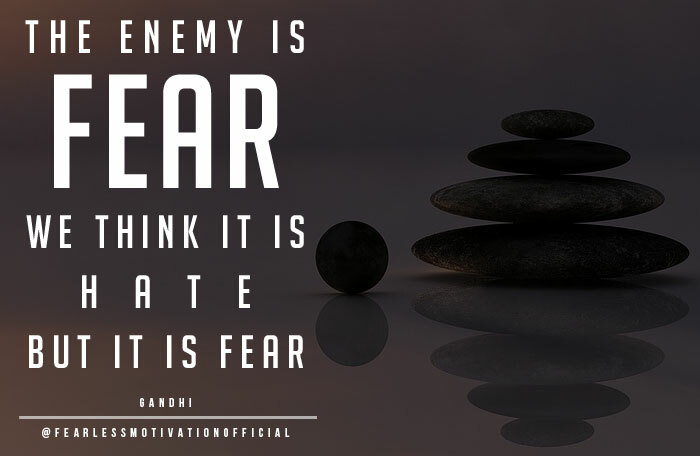 And, if you decide to persist in building an opposition movement, brace for a fear campaign unlike any you have seen. Its all they has left. Making history is far better than predicting it. Let’s practice turning speculation into an organizing opportunity. Electability is a social-control discourse that we need to counter. First, know that questions produce answers. Electability questions rely on untestable assumptions that tend to produce the sought-after answer. Namely, that there is no alternative to the status quo. Electability arguments draw on the “horserace” or sports framing that corporate media uses to explain elections to its consumers. And, to limit the range of opinion and readily available questions and answers. “Can Sanders win?” “Can the Green Party win national office?” Such questions are invitation to predict the future, are they not? Such predictions require speculation and cannot be based on facts alone. These seemingly rational political discussions devolve into statements of incontestable opinion if not outright meaningless soothsaying. Electability drains political discourse of real content. Counter-factual discourse is useful however to the organizer in that it exposes the underlying assumptions of the speaker since the facts cannot get in the way. By the answer given, you will learn right away about the political consciousness of the person you are talking with. And that, for organizers and activists, is the first step toward meaningful engagement with that person. “Can we win?” shifts the terrain to what we can do. Yes, you will hear fear and yes, you will hear fatalism, distracting and denial. But at least you can assess the discussion and invite them to make history rather than passively predict it. Or not — but at least you will know its time to move on. That is, after all, what’s important, isn’t it? Where would President Sanders be without a strong poly-centered social movements to support change? Congress is still controlled by the Corporate Power and even a landslide victory is not going to completely change that. Sanders has repeated said he cannot make the political revolution without a broader political revolution and the Green Party has long been the electoral wing of the social movements. Its what we do that matters. We the people. Its in our hands. So let’s reframe. Let’s challenge the soothsayers and move toward political dialogue about activism, organizing, and a vision for revolutionary change. Or that Florida has the most draconian laws in the nation permanently disenfranchising people once convicted of a felony. Or that many eligible voters were wrongly purged from the rolls as ex-felons they were not. Not our concern, no. It wasn’t that the strategy of triangulation is a failure. That “third way” Democrats, led by the Clintons, abandoned, even attacked, their New Deal voter base and courted Wall Street. Its not that Gore was a loser and triangulation a danger to democracy. 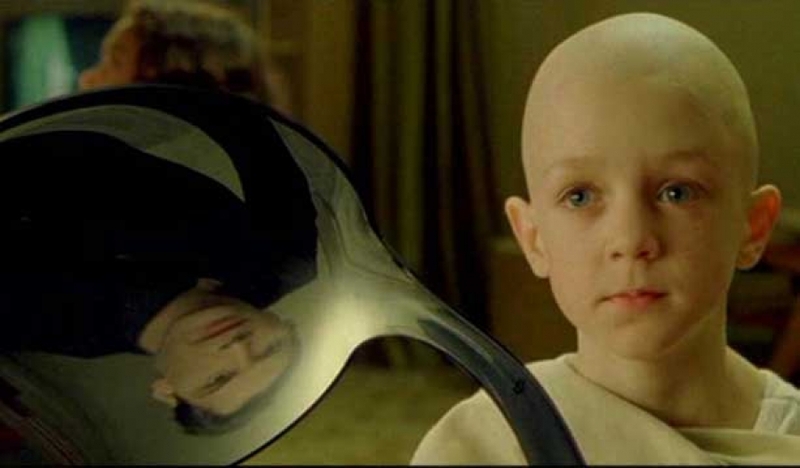 No, that cannot be it. Spoiler is scapegoating. So when someone raises the spoiler argument here is what I hear them really saying. Obviously, the main function of spoiler arguments is to keep people from voting for opposition candidates. But, a real opposition party is essential to changing the system. And, while there are important differences between the Democrats and Republicans, under no conditions can either party be considered an opposition party. There is no spoiler no matter how many times the corporate media trumpets these claims. There is nothing but our failure to contest power and the corporate machine’s fear of democracy. Not if we break the cycle and support candidates and parties that actually represent our interests. Not if we build pro-democracy movements of all kinds. That means Sanders or Green Party in 2016 and the kind and scale of demonstrations planned for the Democratic Convention in Philly. Be there or be triangulated. The great recession of 2008 and failure to do much of anything beside secure the interests of the corporations finally pushed millions of Americans away from the extreme center triangulation created. The game could go on forever as long as no challengers appeared to state the obvious: the machines no longer represented the American people. There are answers to Trump far better than Clinton. The super delegates have but one redeeming possibility: they are supposed to pick the best candidate not simply perpetuate the machine. If they do so Sanders is the only choice. If not the options get tricky. Write in Sanders? Perhaps the best long term choice is to build the Green Party, get our 5% of the vote for Jill Stein and move forward. Stein is currently polling at 7% and is likely to finish much, much stronger. But the threat cannot be beat back at the ballot box alone. We need to push our unions toward social movement unionism, and expand the pro-democracy movement. Maybe Trump is our rendezvous with our own roots. It means so much more than debating fine points in a room full of radicals. Any social movement worth a damn was built through millions of conversations with the people that helped motivate organizing and action. Consciousness raising, organizing into units of power and acting peacefully but disruptively. These are our roots and must be our future. Will movement-building triumph over fear and fascism? Will Sanders or Stein prevail? Can we unseat the Four Horseman? How much more will the people tolerate? The scale of our problems are far too great. There is far too much at stake. The problems we face are dangerous, deeply embedded, institutionalized. There is no clever, cunning or purely tactical way of addressing them. Inside baseball and palace politics have failed. The US now has the the largest system of military bases in world history. There are 650 major bases and nearly 900 total bases in 150 countries. The military-industrial complex, which President Eisenhower warned us about long ago, grows ever larger. The US has been the world biggest producer and exporter of weapons for over half a century. And, war is environmental catastrophe. The US military is the single largest consumer of fossil fuels as it is sent to protect and secure oil supplies. War and empire lays claim to the greatest share of discretionary spending in the federal budget for over half a century at least. Our vast militarized penal system is the worlds largest. No other county imprisons as many of its own citizens. Non-violent offenders fill prisons mostly from the war on drugs. The so-called war on drugs has functioned like a preemptive strike on the potentially most rebellious ranks of the American people: people of color, the poor, the working-class and the young. And, extra-judicial killings by police, aimed largely at black and native people are rampant, at roughly 100 times that of other countries. But, the capacity of the establishment to scare people into forgoing the basic concepts of representational democracy — that people vote for candidates and parties they believe to represent their views and interest — finally appears to be reaching its limits. Evidence? 40% of registered voters are now Independent. Another 40% of eligible voters do not vote. The Sanders surge is unprecedented by almost any historical measure. 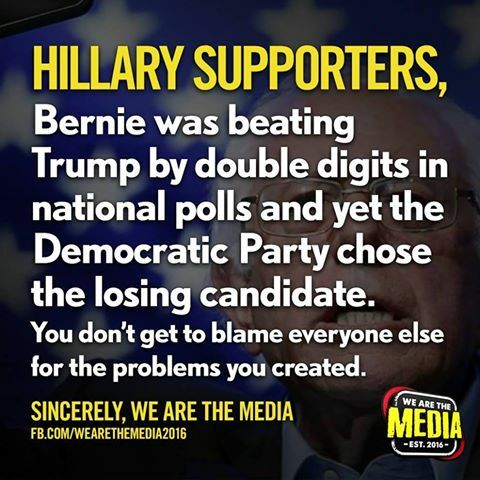 And growing numbers of the Sanders supporters are refusing to vote Clinton if the machine prevails. 1. 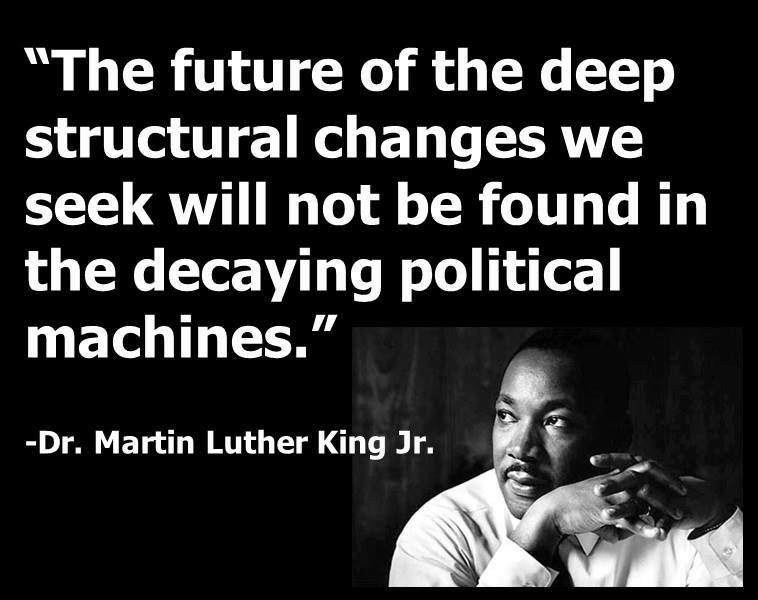 *Martin Luther King, Where Do We Go From Here? 2. King, Where Do We Go From Here?. 3. King, A Time to Break the Silence. I usually avoid doing news commentary because I am not good at it. But, here are some quick and dirty observations on the March 15 primaries. In all cases but one Sanders outperformed the polls. The delegate split was not what we wanted but not an overwhelming defeat by any means. The defeat in Ohio was awful but some unknown number of Democrats crossed over to the Republican side to vote against Trump. Switching is allowed under Ohio law. This demonstrates the weakness of both the “lesser of two evils” and the politics of fear. Sanders loses in Chicago despite the recent powerful and important movement against Trump. Chicago is famous for electoral corruption. Major Emanuel’s machine and the conservative unions (AFT,NEA,SEIU, AFSME) are heirs to a well-established vote producing apparatus. They have power, patronage and jobs to dispense. The rural and southern part of the state, historically more “southern” in culture nonetheless votes for Sanders. He is reaching voters not connected to the status-quo machines. Western North Carolina is the Appalachian region. Generally whiter and poorer that the rest of North Carolina and it was Sander’s only stronghold in the state. It shows that the white working-class, far from the conservative machines, will vote for a real reformer rather than a fascist. Cheers! We have been waiting for the white working-class to wake up and this is a very good thing. Also worth noting that Swain county, also in the same pro-Sanders Appalachian region, includes the Cherokee reservation, one of the most populous native reservation east of the Mississippi. In Florida some 3.2 million independence are shut out of the closed primary system and independents tend toward Sanders. Sanders only wins counties in the panhandle, another good inroad into Trump and Clinton territory and indication that working-class people are waking up. And Keep in mind the Florida has one of the most corrupt histories in the country when it comes to elections. Remember when Jeb stole the 2000 election? Ex -felons are barred from voting for life in Florida for example, the only state to do so. And Missouri, one of the more culturally “southern” and culturally conservative of the “northern” states is a dead heat. Again showing the potential reach of the message of that the economy and political system are rigged regardless about our assumptions about demographics. The lesson here is that its not just about some demographic, about how white workers or black voters or anybody is supposed to behave. Its about changing the world by being engaged and organized. If the conservative machines can produce votes for the weaker candidate we can get organized to produce votes for the stronger candidate. We know the Clinton machine is one of the most deeply entrenched political organizations in the world. They have the status quo, power, jobs and patronage. Changing this will not be easy. As St. Patrick Day approaches my thought run to Irish history. The Wild Irish lived “Beyond the Pale.” Outside of the control of the British Imperial system. We have each other and our ideals and maybe, just maybe, our time has come. The Great Only Appear Great Because We Are On Our Knees: Let Us Rise! 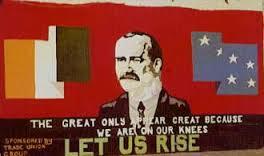 — James Connolly.